One Health or Ecohealth is a multidisciplinary approach to achieve optimal health for people, animals and the environment through local, regional and global research collaboration. Particularly in Southeast Asia, One Health has gained much more focus due to the rise of cross-species epidemics such as SARS, avian influenza, and Nipah virus. With 70% of emerging diseases being of animal origins, this has become a crucial issue for Southeast Asia due to increasingly high urbanisation rates and dramatic expansion of livestock production. However, implementing One Health research and intervention at local and regional levels is facing many challenges in terms of institutional support, human capacity, and resource availability. To address these concerns, an expert workshop “From OH Theory to Reality: Practical challenges, impact of OH initiatives and gaps in research” has been held in Hanoï Vietnam as part of the European Project SEA-EU-NET "ASEAN-EU Cooperation in Science, Technology and Innovation jointly tackling global challenges" (www.sea-eu.net)- a European Union’s Seventh Framework Program-funded project which aims at strengthening S&T cooperation between Europe and Southeast Asia. The workshop was jointly organized by the National Institute of Hygiene and Epidemiology, the National Institute of Veterinary research, the CIRAD, the International Livestock Research Institute, and the South East Asia One Health University Network. Antimicrobial resistance: a One Health challenge. Pr. 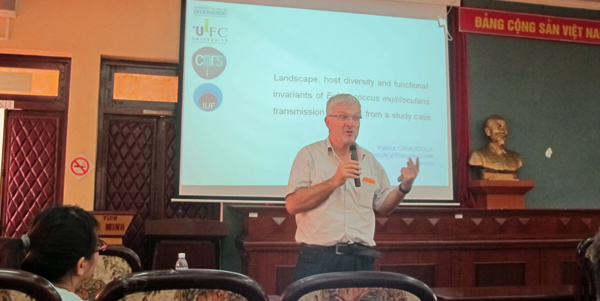 Patrick Giraudoux was invited by the organizers as one of the experts in the field of ecohealth and infectious disease ecology. 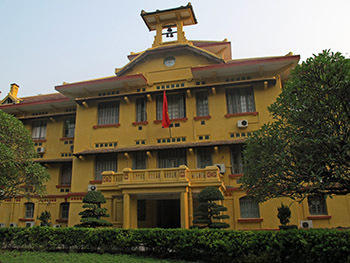 There, among many other colleagues of Southeast Asia and Europe, he met Dr Nguyen Viet Hung (International Livestock Research Institute and Hanoï School of Public Health) and Véronique Chevalier (CIRAD). Both got their master degree “Environment, Health and Society”, now ECoS, at the University of Franche-Comté in 2001, and Dr Nguyen also his PhD in 2005 (supervised by Prs. Pierre-Marie Badot, Daniel Gilbert and Nadine Bernard). It is extremely rewarding for all of their former university teachers that their two former students are now internationally recognized experts deeply involved in ecohealth studies at international level, an approach they have been trained to in their early days in the Besançon Master. 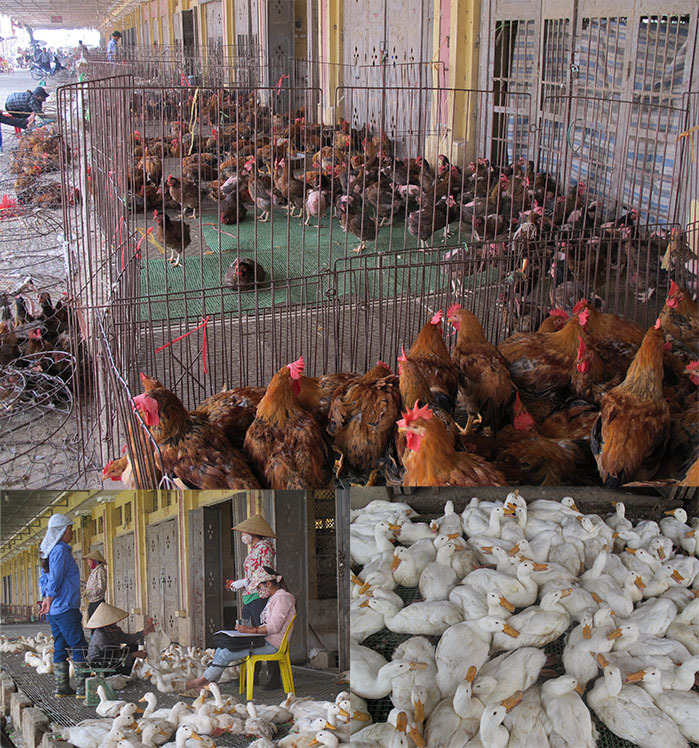 During the workshop, a short visit to a poultry market south of Hanoi has been organized, and people could see how health hazards (e.g. avian flu H5N1) were managed in a local community. Futhermore, Pr. Patrick Giraudoux gave a conference at the Hanoï School of Public Health on the 15th. A consortium has been organized to build up a one health/ecohealth call for proposals that may be inserted in the H2020, the EU Framework Programme for Research and Innovation (contact: Marysa Peyre, CIRAD, Vietnam).